Such a busy lovely weekend! 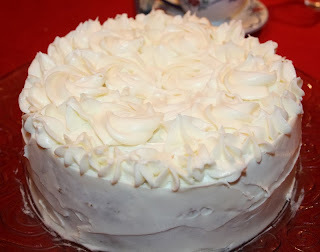 Friday was my birthday, and Kristine came home for the weekend :-) I made a carrot cake, and she decorated it with pretty roses. This was dessert after we enjoyed "Rakfisk" which is a traditional meal with fermented and salted trout, eaten in fall/ winter. Here I am with my wonderful parents! My dad celebrates his birthday on Tuesday, and yesterday we celebrated my cousin's birthday ( along with my aunt and uncle's birthday which is coming up in November) So as you might understand this has been a weekend filled with lovely family time! My sister in law made me two pairs of lovely button ear rings, so I told her she could go through my button jar and see if she found any buttons she could use. 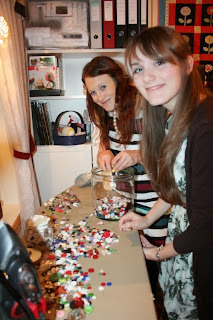 I think she and Kristine found quite a few. 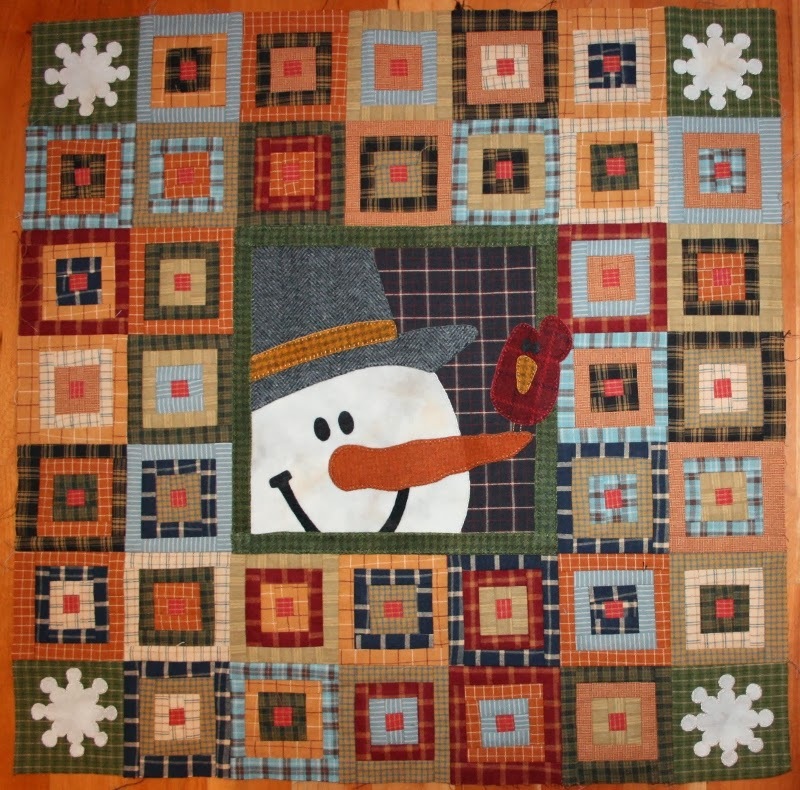 She has a Facebook page where you can buy her creations! 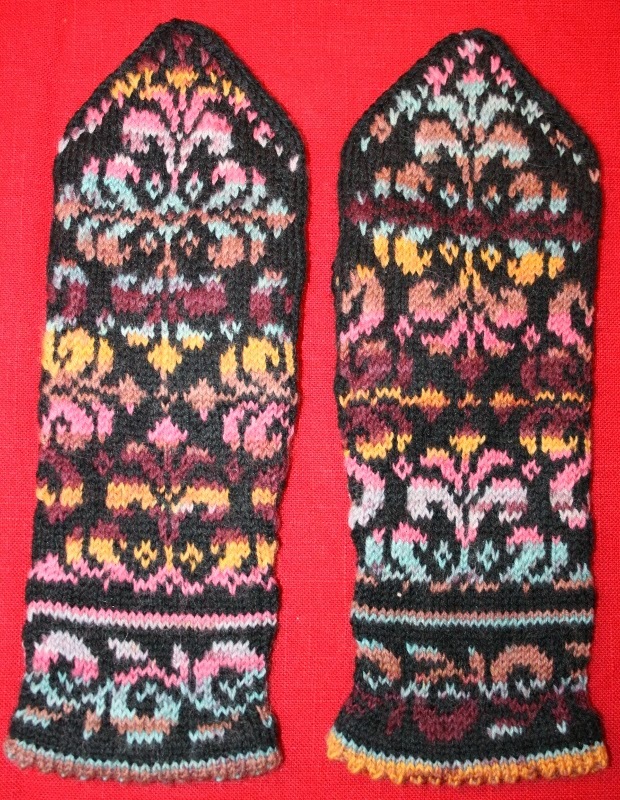 For my cousin I made a pair of warm mittens so he'll be ready for winter. And for my aunt who has recently started quilting again I made this bag and filled it with quilty things she might need. 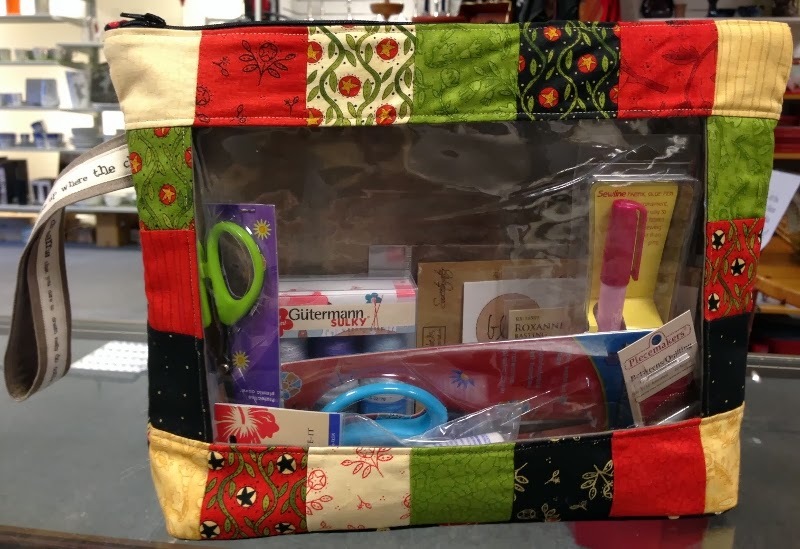 The pattern is called " Whatcha got" and has two options on sizes for the bag. This is the largest one. Ok, on to some sewing... 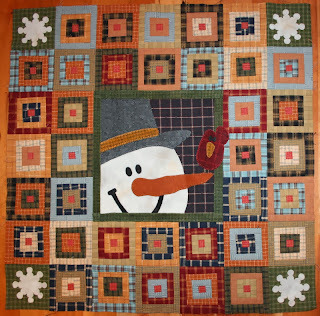 I have finished this quilt top- now I need to figure out how I want to quilt it.... I want to have it finished before December! 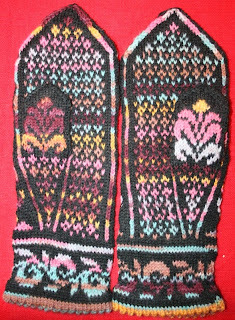 And I have finished a pair of mittens. The pattern is called " Elise mittens" , and you can buy the pattern on Ravelry. 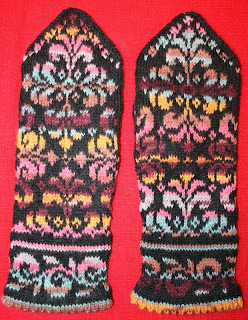 I used Sisu ( black) and Regia Funstripe color yarn. 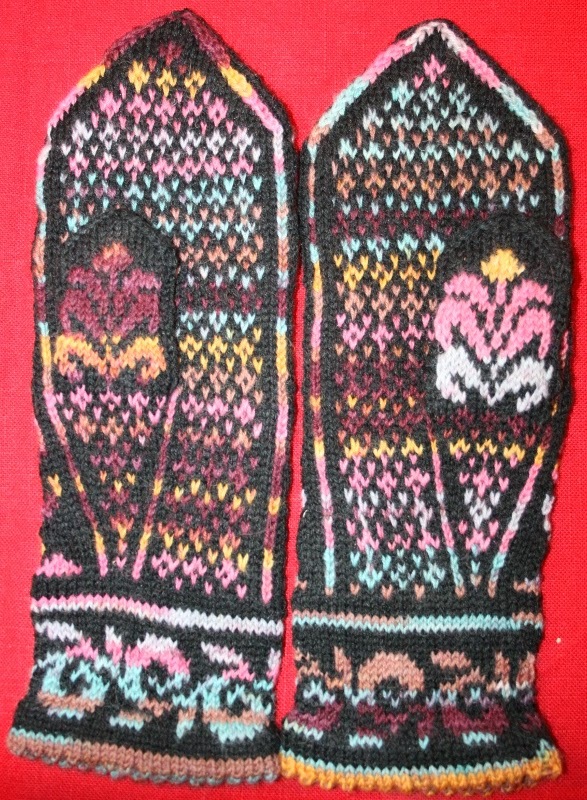 The inside of the mittens. That's all for now. There is some secret sewing going on as well.... 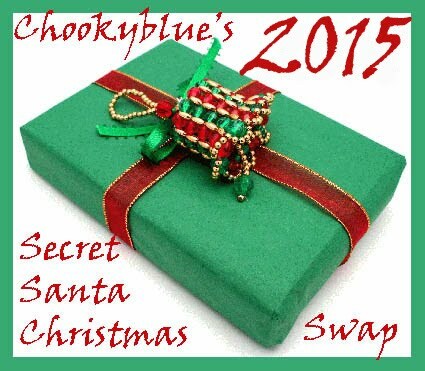 THE SWAP of the year SSCS is going on, and I need to have the gifts ready in november! Happy Birthday, sounds like a fun weekend of celebrations. Your k nitted mittens are amazing....very clever. Happy belated Birthday. Mine was the previous Friday. I love your knitted mitts. They are gorgeous and look like they took a long time to make. Happy Birthday Anne Heidi!! Looks like lots of wonderful celebrating went on!! Happy Birthday. Your mittens are stunning! Happy Belated Birthday! You and your parents look SO young -- it must be those cold winters LOL! 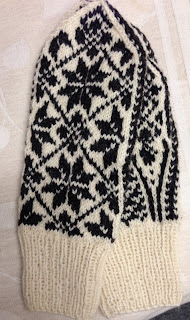 Looks like you've been very busy with all of your projects -- your mittens are beautiful! Happy birthday week! I hope it was a good one. I'm working on the same project (Cabin Buddies). Just need to do the center and sew the blocks together. Love how yours turned out!